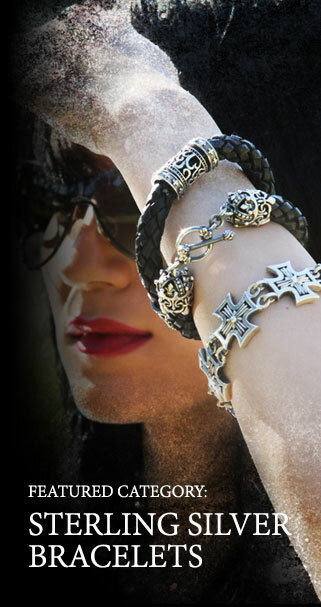 Biker jewelry in Los Angeles. Silver, gold, leather and genuine gemstones. Originally designed and unique jewelry for both men and women. Pendants, rings, bracelets, cuffs, dog tags and much more, all made in the USA. Our work is all about the quality of each piece. 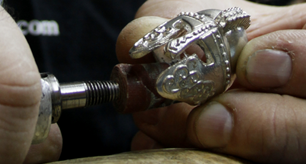 We never mass-produce and all jewelry is made to order with special care to each individual item.